Welcome to Meet the Teacher – CodeMonkey’s blog segment where teachers from all over the world share their experiences on what it’s like being an educator. 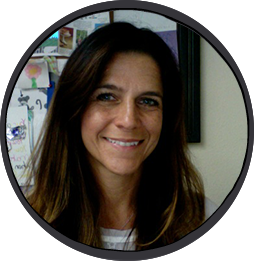 Today’s post features Tari Trexler who is a K-8th Grade Teacher at St. Patrick Catholic School in San Diego, CA. “I always loved school and had very positive experiences with most of my teachers. My father was an educator as well, and I believe he helped instill a love of learning in me. After changing my major three times, I felt at home in the Education college. The classes all spoke to me, and I found the content interesting and engaging. It was a natural fit, and I’ve been blessed to have been teaching now for 25 years. I’d like to think I am [a connected educator], however, I could always do more. I do my best to reach out to others using technology in innovative ways. I look to online resources, social media and PLN’s to find ideas. I work to find professional development opportunities that will help me engage my students using a variety of technology. Technology is constantly changing, so it’s a challenge to keep up. Being connected to a variety of resources helps me in that cause. I definitely believe that working with children has changed my perspective. I have a hard time working with adults, because so many of them have preconceived notions about how things should be. Many of them have lost their passion or lust for learning, and most kiddos are still in that place of wonderment. I feel that it’s my job to keep that spirit alive, and to encourage them to be incredible humans not only to each other, but to their greater community. It’s important to me that my students are kind and compassionate collaborators, and become lifelong learners.